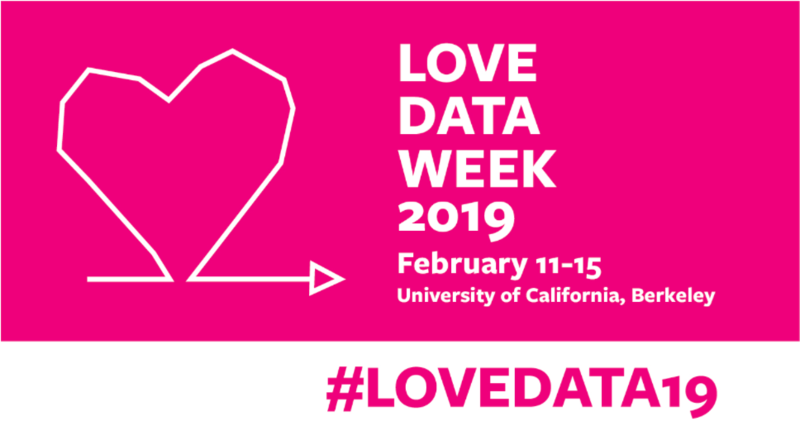 The University Library, Research IT and BIDS are collaborating again this year to host Love Data Week, part of a nationwide campaign (February 11-15, 2019) designed to raise awareness about data management, security, sharing, and preservation. Students, researchers, librarians and data specialists are invited to attend these events to gain hands on experience, learn about resources, and engage in discussion around data needs throughout the research process. Berkeley Research Computing is offering an introductory training session on using Savio, the campus Linux high-performance computing cluster. We'll give an overview of how the cluster is set up, different ways you can get access to the cluster, logging in, transferring files, accessing software, and submitting and monitoring jobs. New, prospective, and current users are invited. To register for these events and find out more, please visit: https://guides.lib.berkeley.edu/ldw2019. Love Data Week at Berkeley is sponsored by the University Library, Research IT, Berkeley Institute for Data Science, Information, Security and Policy, and CITRIS.